Christmas lights are a sure way to get you in the spirit for the holiday, and this year we decided to get crafty with ours. 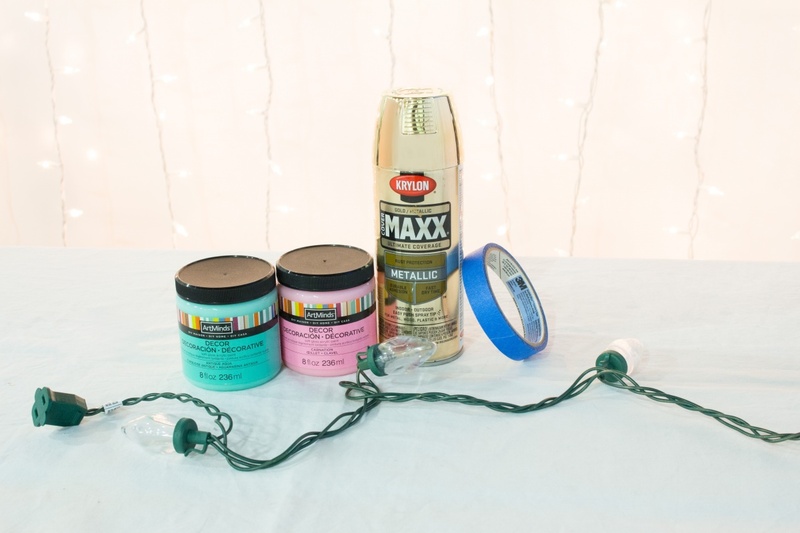 To pair with our pink and aqua Christmas party, we decided to spruce up clear Christmas lights with the colors of our choice! 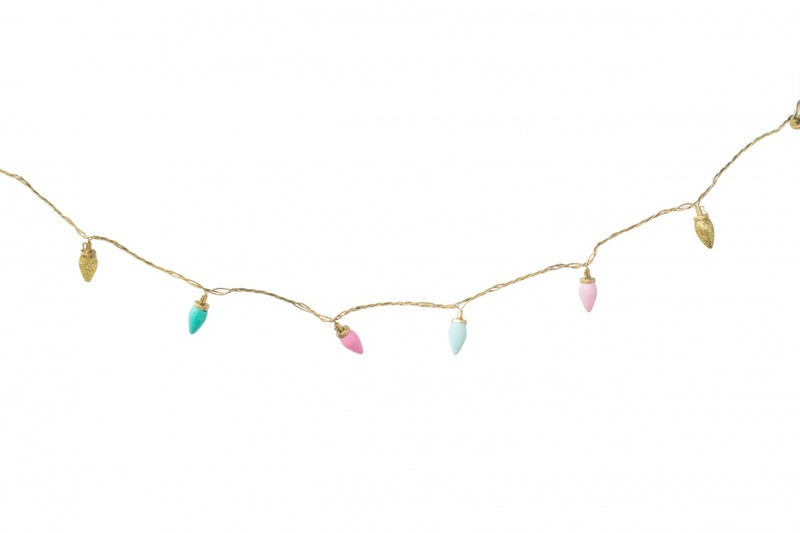 These lights were so easy to make and they turned out just perfect as decor at our party! To find out how to make you own, take a look at the simple steps below. Getting ready to paint the large bulbs, we first added painters tape around the top. 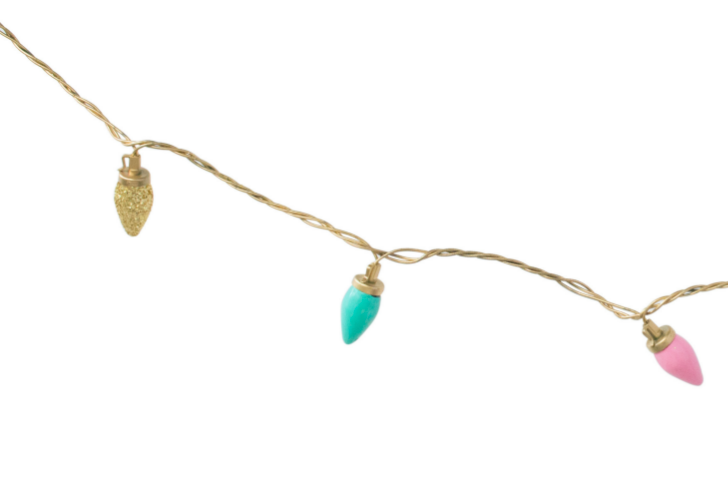 (The piece that pops this large bulbs back in place on the string.) Hold onto the tape with your thumb and index finger, and dip the entire bulb into the bottle of paint. Then hold the bulb over the paint, letting the excess drip off. Once most of the extra paint has dripped off, let the bulbs dry. The tape made an excellent stand for the drying process! 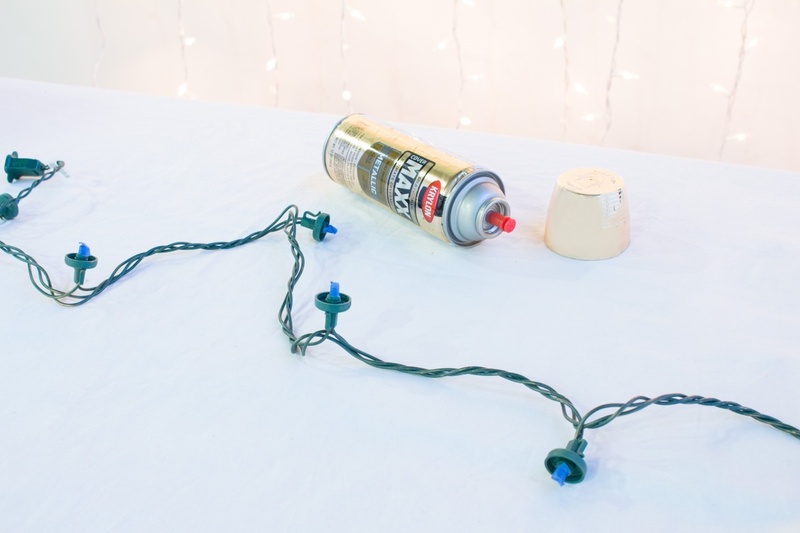 If you decide to paint your cord, tape off the small light bulbs themselves. Then spray and let dry. 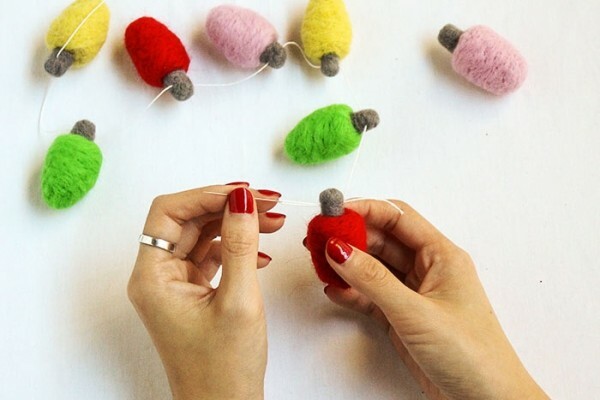 Once the string and large bulbs are completely dry, pop the large bulbs back onto the string. That’s it! 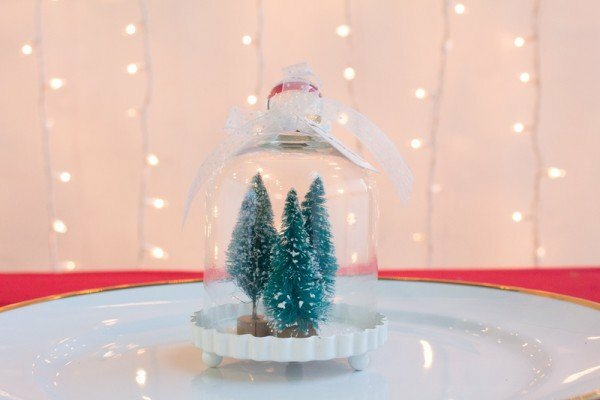 What do you think about this DIY Christmas decor?